From 1999 to 2011 I was the Head of the World Soil Museum in Wageningen, the Netherlands. The 200 m2 hall displays soil profiles including pictures of landscapes, land-use and soil management aspects. 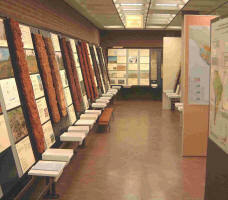 It is an unique museum showing some 80 soil profiles from all over the world including information on their chemical and physical properties, land-use and soil management constraints. The total soil profile collection from ISRIC is over 900.